after I've already read some problems in the forum about the pro2 and I have already disassembled by my own stupidity a hotend I also noticed by some members here connections that have occupied me the last few days. most blockages or printing errors come in my opinion by a single faulty part to conditions. A blockage in this can lead to jams in the tube or in the transportation system. I have already experienced overheating and layer misalignment. After I have looked at the parts once more I have found a (I think) solution that solves all these problems. what have i noticed, what are the problems? 1. the throat tube is a bit too tight and has partially on the end pieces a tiny little degree. 2. Overheating of the throat tube on the extruder. This happens because not enough air circulation on the cooling fins comes. Therefore, the material in front of the nozzle is heated too much and we are sticky. this in conjunction with a too tight throat tube and the jam is programmed. I ground the throat tube slightly from the inside with 1500 sandpaper and polished it from the inside as well. of course the degree away. it is only about one hundredth, but that's enough the filament goes through much easier. the overheating is of course a bit harder to solve. I ordered a stronger fan first than replacement of the original 50mm fan. this one is not there yet! Nevertheless, I think the problem I already solved differently. where to get more cooling when the space is limited. very easily. we have 3 fans available that are enough ..
the main fan is unfortunately not enough but we still have the side fans. These are mounted on a sluggish construction. at, the view of this construction I have seen the raise3d already has an air supply to the extruder cooling fins in it, but much too small.! I have made the supply of the side fans on with a dremel. not very nice but effective. as you can see on the pictures original and remodeling. Here you can see that now the complete extruder head gets air from the front and from the sides. the temperature is under full load after 8 hours of pressure. (higher pressure temperature, lid on, door closed). constant and he runs perfectly. The model that I am currently printing I have already started 4 times and now it works. Of course I'll keep you up to date. But I'm sure this is the solution. Wow - I am not willing to make these modifications without the approval of Raise3D but I applaud you for taking the initiative and providing your notes/pictures to us all. What kind of filament are you using with this test? Great start PropF, but i am just worried that by cutting a larger area for cooling of the fins then your not having enough pressure to send more of that air on the print itself, which is what these side fans are for anyway. Hey, but it will work..
No Problems with The print. Second 8 Hour Print finished with no Problems . All closed door and hood. No layer problem, no jams no shifts nothing. I hope raise will make some changes on the printer. Anyone currently meet jam, stucking, overheating issue with Pro2. Would you like to advise the filament you are currently using? We will try to grab some to test and analysis. And it will be also good to know if someone get success with the filament you meet trouble, hope everyone can get more valuable information here. I had Issues with the e3d Spoolworks Scaffold Material. But just to give my 2 cents. It is fact that the Extruder-Unit get´s really hot, especially for Materials with low Glass transition temperature. (PLA, PVA). Materials which have higher Temperature Tolerance won´t suffer from having an colder Extruder/Feeding Unit. We just gain more security for the Lower Temperature-Materials. So please, Can you Give me a Temperature-Reading from the Extruder-Unit which is "normal" from your opinion? I would check back with mine to see if mine is running out of spec. We need an Solution to this! ASAP! 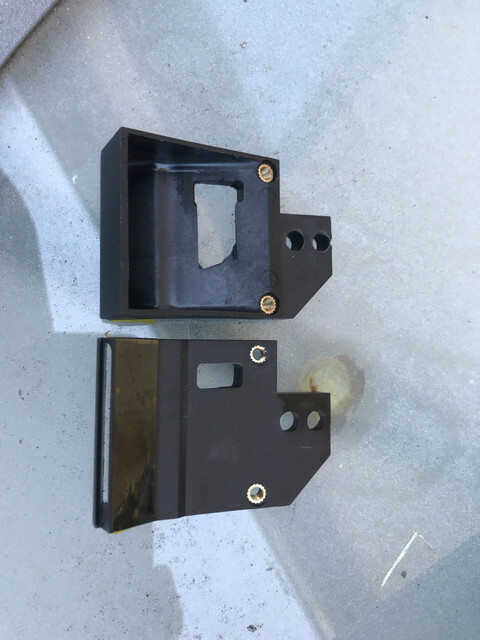 Let´s work together and make this a better printer! I leave you the link towards my topic: http://forum.raise3d.com/viewtopic.php?f=18&t=9969 since I installed these radiators I have no more problem … If ever it can help! Can you confirm you've been able to print PVA with this modification as well without jam? I just had a nasty jam up last night and required full disassembly to remedy. Any chance the fan shrouds are on Thingverse or other we could "print" replacements that are less dremel intensive. Probably wouldn't take much to import them and modify. I've done similar with FreeCad with good results. i had no trouble so far but than again, i only used raise3d and polymaker filaments. better be safe than sorry, so should we apply this mod to our printers ourselves ? Carston, or other's that have tried: Love this idea! 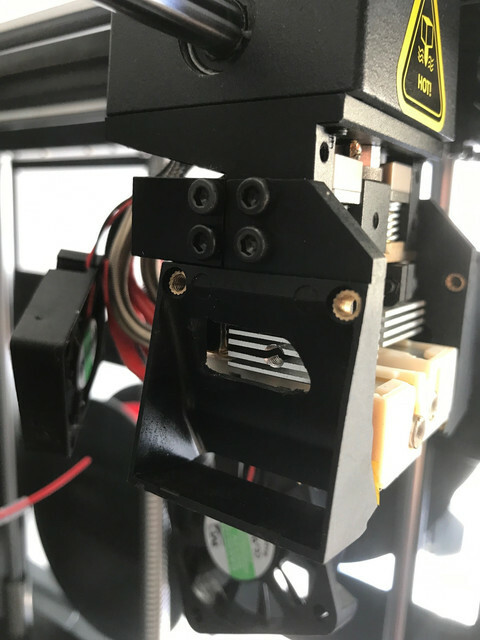 This mod will divert some of the air away from cooling the part to the heat sinks, so in theory print quality may go down a bit, bridging in particular? Have you guys noticed any serious degradation in print quality? I assume no? On my Pro2 - I had multiple clogs and then jams with the black PLA that came with my PRUSA mk3. It was a 1.75kg roll and I don't know what brand it was. Since then I swapped back to using Premium PLA from Raise 3D and have not had issues with clogs and/or jams. Has anyone been able to use PLA from another source with the standard temperature settings for PLA from Raise3D? They instructed me to use a lower temperature with the stuff that clogged and jammed but I never tried. Also - I think I have a terrible heat problem causing premature melting/expansion above the hot end too. Hey , i can say after 2 weeks printing with over 28 hour per Print don’t have any trouble.! Raise3D and Matterhackers PLA work fine. GizmoDorks Copper which is basically PLA with 5% copper in it fails every time. It softens at a pretty low temperature which would explain it. Also had ColorFabb Copperfill fail but it's nearly 2 years old so I can't be sure of it's condition. Added some 4cm x 4cm heat sinks to the stepped motors (~ $8 on Amazon) but the problem is just above the hot end. Going to try a more powerful fan. The one supplied is ~ 9 CFM. Ordered one that is nearer 12 CFM. At the end of the day, this printer is not optimized for PLA. Hotter filaments such as ABS. PETG and PC print beautifully. Not got NylonX quite dialed in yet but I'm getting there. Until now, we haven't seen these issues when running Pro2 series' printers inside our labs, offices, factory. Please give us as many as details about all the filament you are currently having issues with, as specific as you can. So that we can test these filaments on our side if possible. Before we can recreate the issue on our side, it is hard for us to give out a solution or confirmation how and which kinds of modifications can help or not.